Huawei P30 Pro & P30 Price in Nepal - Everything you need to know !!!!! 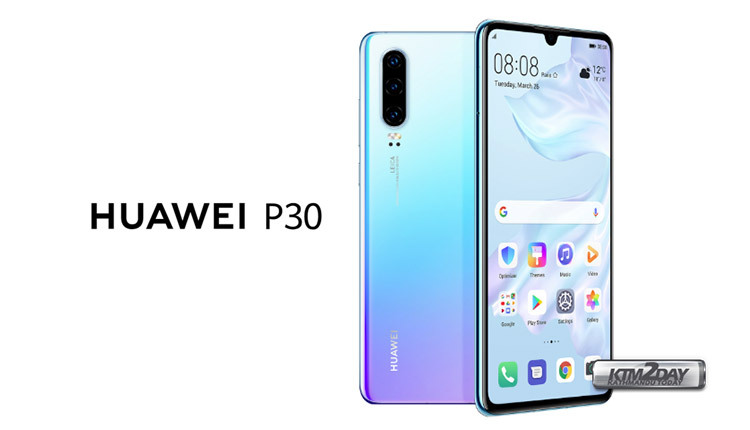 The Chinese manufacturer Huawei today presented in Paris its latest smartphone, the Huawei P30 Pro and its standard variant Huawei P30 . The goal is to establish new standards with the new top model and above all to redefine the rules of photography. This revolution offers, among other things, a 32-megapixel front-camera sensor, and a rear mount that will allow insane Optical Zoom functionality up to 5x without loss. But there is more, much more to discover. The Huawei P30 Pro and Huawei P30 are powered by the latest Huawei Kirin 980 , which the company presented at IFA 2018 at the end of last year. Huawei has finally launched the Huawei P30 Pro smartphone which features a completely revamped design, and boasts the best camera setup in a smartphone, fetching an impressive 112 points on DxOMark. The Kirin 980 was the first Huawei chip built in a 7nm process. It is a piece of octa-core silicone that, according to Huawei, offers a 20% increase in speed and is more energy-efficient by 40% compared to the previous Kirin 970 that powered Huawei P20. The GPU is also 46% faster. Huawei has doubled its NPU (Neural Processing Unit) with Kirin 980 as well as real-time processing and the ability to recognize 4,500 images per minute. AI’s computing load forecasting also makes the processor better able to “decide” when distributing performance and when to save power. Huawei’s strategy is to dominate the market and fortunately for them and for us consumers, this way is done by adding value to their offerings and differentiating themselves from the competition by adding quality differentials to their products. 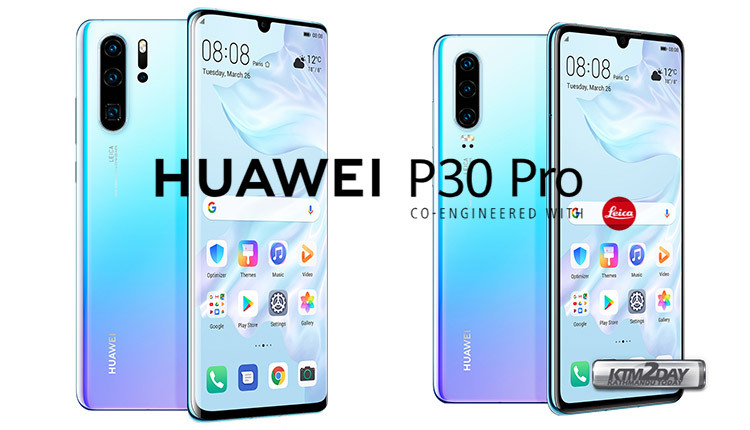 The Huawei P30 Pro brings as we refer to the top-of-the-line chipset of Huawei Kirin 980 that will be able to extract the best results of the spectacular Hardware that equips this Android smartphone. The Kirin 980 SoC includes an architecture with 2 cores of A76 with maximum frequency of 2.6 GHz with 2 cores of A76 with maximum frequency of 1.92 GHz and finally 4 Cortex A55 cores with clock speed of 1.8 GHz that will serve for the less demanding tasks and will allow to save energy for the most demanding tasks. The screen of the Huawei P30 Pro is huge. Huawei’s new P-series high-end model comes with a 6.47-inch OLED panel, although with a resolution of 2340 x 1080 pixels, resulting in image quality below other recently introduced smartphones such as the Samsung Galaxy S10 + which has a resolution of 2K. As for its design, everything beats with what we saw previously in unofficial images, and the set is sweeping. 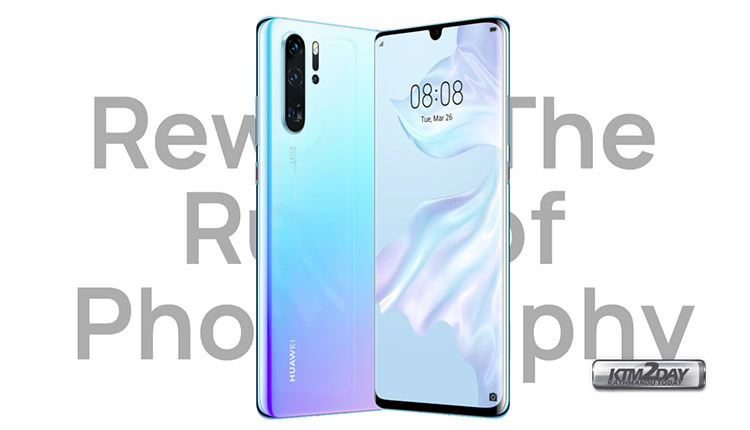 The margins are minimal and round on both the top and the inside, along with the notch in the shape of a drop of water which can be found on both models Huawei P30 . The cameras in the Huawei P30 Pro model are 40MP SuperSpectrum (Wide Angle f / 1.6, OIS) + 20MP (Ultra Wide Angle, f / 2.2) + 8MP (5x Optical Zoom, f / 3.4, OIS) + Tof Camera, HUAWEI AIS (AI Image stabilization), Hybrid auto focus. The front camera is comprised of a 32MP, f / 2.0 sensor. The device also obviously has the usual sensors: Accelerometer, Proximity, Gyroscope, Compass, Fingerprint and Mic. of Noise Reduction. The Huawei P30 Pro is a sleazy monster of specifications, but the most impressive is undoubtedly the camera configuration. If in the previous variants we obtained results that easily transformed any inexperienced photographer into a semi professional photographer, with these upgrades we expect nothing less than wonders from these cameras. With the Huawei P30 Pro, Huawei aims beyond the obvious extraordinary capabilities provided by hardware co-designed with Leica and backed by Kirin 980’s AI to provide an excellent overall experience. Huawei offers the Huawei P30 Pro an optical zoom with a magnification of up to 5x. In the past, this meant combining a real optical zoom with a digital zoom to achieve a greater overall zoom capability. But with the P30 Pro this 5x magnification is real, physical and optical. In the P30 Pro, the device physically “only” offers a 5x zoom, using the second main sensor, which is a type of telephoto that resolves eight megapixels. Impressive. The front camera of the Huawei P30 Pro also has an impressive 32MP with F2 aperture. 0. Okay, we have a new term here, which we know from P20 Pro. We’re talking about Light Fusion. The Light Fusion of the Huawei P30 Pro is a technique that uses light to boost the final result by 4x. Again impressive. The Huawei P20 Pro combines sensors with aperture sizes between F / 1.6 and F / 2.4e and Light Fusion technology can present the largest pixel ever in a smartphone: 4um2. We have already talked about the Hardware that we can count on inside this impressive Huawei P30 Pro, but as in all areas if the management is not effective the results are not extraordinary. The Huawei P30 Pro despite having the same processor of Mate 20 Pro, will be able to do much more. A lot more! According to what we have been told by Huawei itself, the P30 Pro will be smarter and more professional than the Mate 20 Pro, this is a brave statement, considering that the Mate line is designed for professionals (and it opens a little appetite to see what they will do with the next Mate version). The P30 Pro’s Kirin 980 chipset will recognize several different scenarios taught to you through Machine Learning and which NPU can recognize by automatically adjusting settings for better image capture. The number of compatible scenes will increase over time, and the phone uses this feature surprisingly fast, producing very good quality images. If you want a different effect than the one proposed, you can always choose not to use this feature, it is upto the user’s choice. Like the P20 Pro this P30 Pro can take long exposure for 8 seconds without using the tripod, all managed by Kirin 980’s AI. It looks fancy, but it could not be more real. Parallel to the AI ​​will help to recognize the horizon lines so that the photographs always are correctly framed, it is noticed that the user can always deactivate these resources. AI is an aid not an imposition. 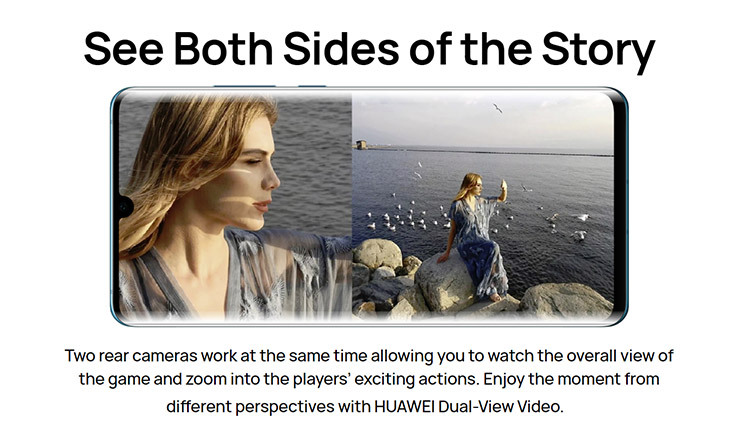 One of the main features of the Huawei P30 Pro, and probably most importantly, is its photographic section : this year the manufacturer raises the ante and implements a vertically arranged triple rear camera configuration accompanied by a dual LED flash . The main sensor will be 40 megapixels with OIS (Optical Stabilization) and an aperture of f / 1.6. The second sensor will be 20 megapixels , f / 2.2 aperture and wide angle . 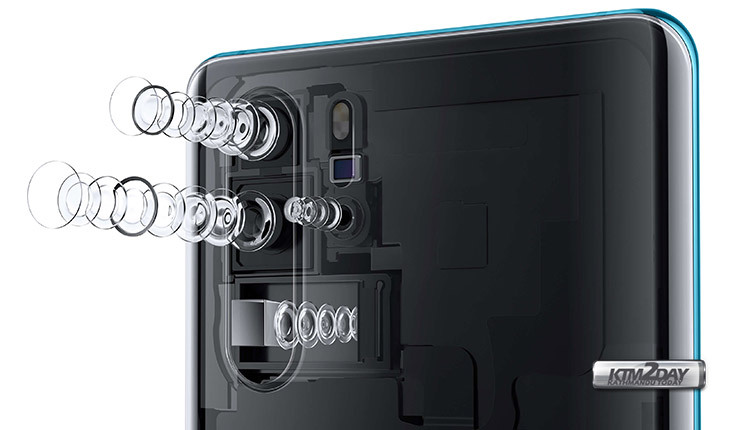 But the big star of this section will be the zoom that the device will offer – Huawei has used a kind of 10-times periscope system , which is responsible for diverting light through a prism before reaching the photographic sensor, so that all system is only a few millimeters and hardly affects the thickness of the phone. 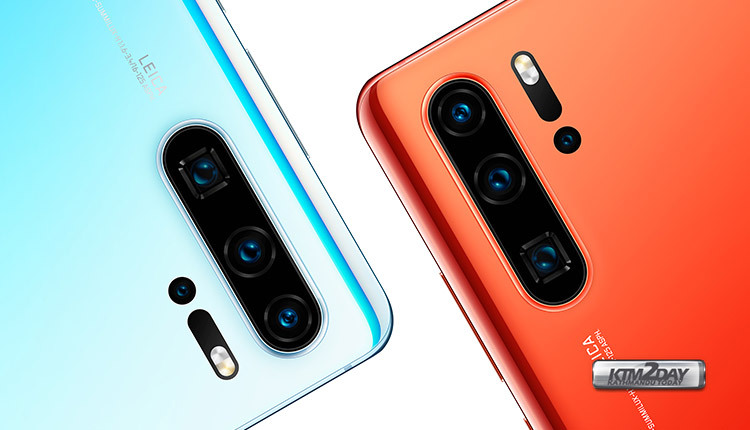 Another novelty of the Huawei P30 Pro is that, under the dual LED flash and laser auto-focus technology, we will have a flight time sensor also included , this will be responsible for registering the space in front of the camera in three dimensions and collecting data from accurate depth, similar to Microsoft’s Kinect sensor . One of the points that differentiates it from the P-line devices we saw earlier, is the battery that is same as the Mate 20 Pro with its impressive 4200mAh in a metal and glass construction with a few millimeters of thickness. In addition to this raw battery capacity the Huawei P30 Pro comes equipped with Huawei’s Supercharge. The Huawei P30 Pro is equipped with a large 4200mAh battery, which compared to its predecessor, is much larger. The Huawei P30 Pro will have 40 watt charging capacity to charge the equipment from 0% to 70% in just 30 minutes. Unlike other manufacturers Huawei will obviously include the SuperCharge charger in the box. The device offers the option to wirelessly charge other devices that support wireless charging. One of the improvements of this Huawei P30 Pro is the IP68 certification, this is the first time that Huawei has a P-line handset with this feature, and it is very welcoming. This waterproofing will protect the device in case of any water-related damages and the smartphones itself. 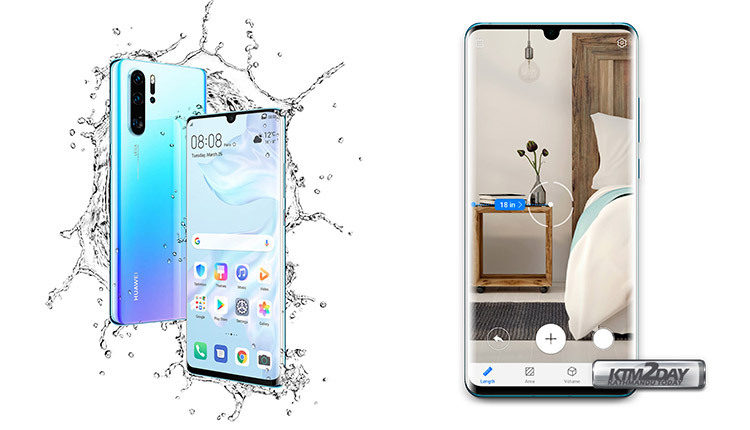 In addition to the set of specifications that make the Huawei P30 Pro a serious candidate for the 2019 smartphone this device is waterproofed with IP68 certification and is therefore designed to withstand dust and water depths of up to 1.5 meters. The younger brother of the Huawei P30 Pro is not exactly less powerful. Quite the contrary: although it does not have some of the most premium specifications, all the features of this handset make it one of the best smartphones on the market . 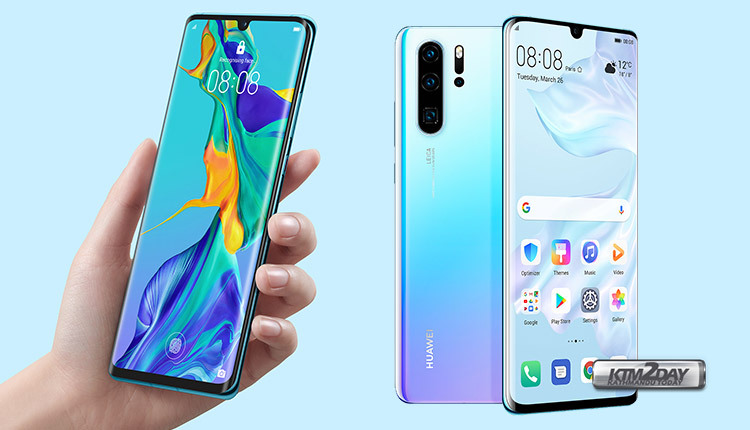 The Huawei P30 has a design similar to its older brother, with a smal notch in the form of a water-drop that only integrates the front camera. As for the screen, it comes with 6.1 inch OLED and a resolution of 2340 x 1080 pixels . The front camera will be 32 megapixels and its rear has a triple camera configuration : a main sensor 40 megapixels (without OIS) and a f / 1.8 aperture. The P30’s wide-angle sensor is 16 megapixels, and finally a third 8-megapixel sensor with f / 2.4 aperture. Together, the cameras allow for a 5x hybrid zoom, as was offered in the Pro model last year. On the other hand, in terms of performance, we can also count on the Kirin 980 Octacore processor , but with 6GB of RAM and only a variant of 128GB of internal storage , expandable under a NanoMemory card from the Chinese manufacturer. Its battery life lives on a 3,650 mAh battery with fast charge. 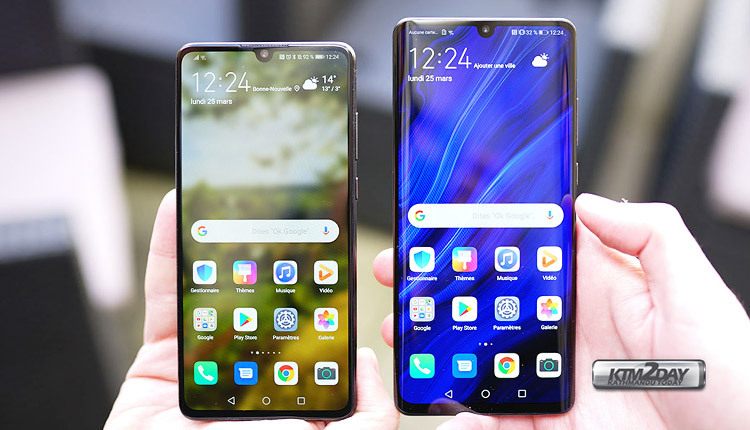 In addition to the smaller dimensions of the Huawei P30, the most significant differences are in the cameras, since the Huawei P30 Pro has 4 rear cameras versus the Huawei P30’s triple camera configuration, the RAM is also reduced from 8 GB to 6 GB and we do not have curved edges on the screen, but rather a flat design. See the table below for a direct comparison.